Petridis Hotel in Pefkochori Halkidiki is a luxury 3-star hotel located on the peninsula of Kassandra at Halkidiki . It is an attractive destination for thousands of visitors, both Greek and abroad. It is located 94 km away from Thessaloniki airport. Halkidiki Pefkohori is situated on the peninsula of Kassandra 94km fom Thessaloniki Airport. Because of that it takes almost an hour and a half to get there.It is a rather remarkable resort in Europe.Because of the picturesque landscape and the golden beaches. In the streets of the village there are neoclassical buildings. Shops providing for everyone’s needs.There are also traditional taverns offering a gastronomic journey. Also one will find luxurious restaurants. The visitors can also sunbathe on the sandy beaches. Enjoy the crystal blue sea. The visitors can also wander along the narrow streets smelling the fragrance of the pine trees. In Pefkohori take place also rather well-known sailing boat races. Due to all that reasons,Pefkohori is the pole of attraction of many visitors. It is a rather popular destination. 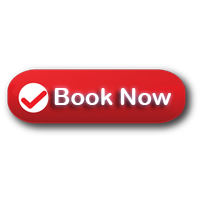 Thessaloniki taxi transfers undertakes your transfers from Thessaloniki airport to Petridis Hotele in Halkidiki, with comfort safety and reliability. First of all our luxury Mercedes E class cars always clean and in an excellent condition. In addition our polite and helpful drivers are willing to undercover what a passenger needs . In conclusion, our experience, the high quality of our services and the low cost charge, offer a rather comfortable and safe journey. 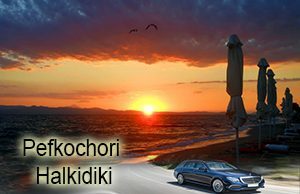 Consequently, Book your airport taxi transfers to / from Petridis Hotel Pefkochori in Kasandra Halkidiki . Economy & Quality Service with minivan, taxi in low cost.